There's Rosemary, that's for remembrance. Published in 1945, "Sparkling Cyanide" is all about remembrance. 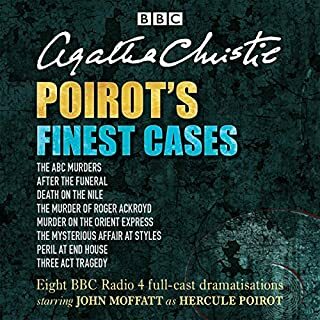 It begins with six characters recalling the horrific death of Rosemary Barton, a beautiful but shallow young heiress poisoned by a cyanide-spiked glass of champagne whilst celebrating her birthday at a smart London restaurant. A foggy night... a lonely country house... and a woman with a gun in her hand quietly surveying the dead body of her husband. It looked like a straightforward case of murder. Or was it? 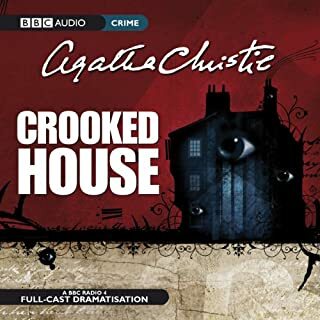 As the ghosts of an old wrong begin to emerge from the past, the case begins to look anything but straightforward... First staged at the Duchess Theatre in London in 1958, this play ran for 604 performances and is as gripping and ingenious as you would expect from the Queen of Crime. Quick Read but still Great! 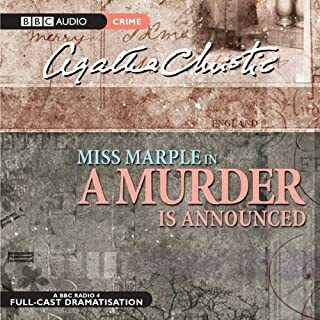 A BBC Radio 4 full-cast dramatisation of a classic Agatha Christie mystery, starring Lyndsey Marshal, Geoffrey Whitehead, and John Rowe. Ten guests travel to an island at the invitation of someone named U. N. Owen. All are strangers, but they have two things in common: they have all been responsible for someone's death, and none will leave the island alive. Over the next two days and nights, each of the guests is killed off in a different manner in keeping with the nursery rhyme, 'Ten Little Soldier Boys'. As they are picked off one by one, who could possibly be responsible? The killers are forced to turn detective so they can find the unknown murderer, but one by one they become victims. 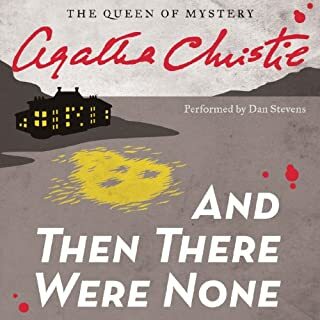 Billed as 'the famous detective story without a detective', And Then There Were None is one of Agatha Christie's darkest and most enduring tales. I understand that some abridgement was to be expected in the interest of saving time, but to completely re-write important sections of the book? If I had wanted to purchase a different story, I wouldn't have purchased this one. Reader beware, some liberties have been taken which may or may not be appreciated. I own the unabridged narration of this story, and thought that a dramatized version would be nice, but this is a totally different story altogether. Ten Little Soldiers? They were Indians, but I guess political correctness got in the way. And there was no conversation between Vera and the Judge at the end of the book. There are other references to the Judge wondering if there is a God. I don't recall seeing that in the book, so that must be part of someone's agenda. And the same company has released a ton of these Agatha Christie books! Shame on the publisher, and shame on Audible for putting this "book" out. If I could get my money back, I would. With interest. I only gave it one star because Audible made me. With interest, Audible! Acting was extremely good and very well executed. Liked the narration alot. Typical Agatha Christy. Yes, I would. It was an enjoyable book and a nice piece of pure Christie escapism. I rather liked Vera, perhaps because the actress who performed her was so skilled. 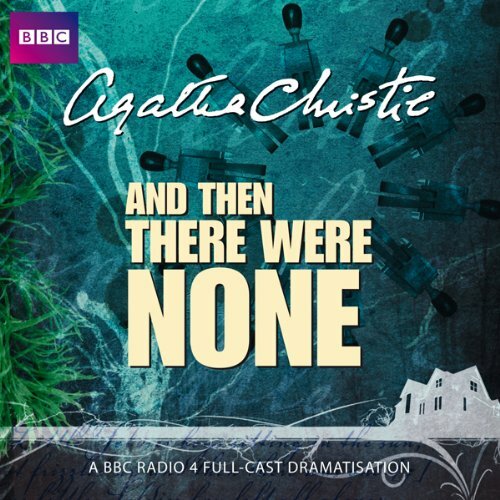 This is yet another fine radio adaptation with a full cast, like an old-time radio show. Moved, no, but I loved the end. This is short and fast paced story with an excellent cast and an unexpected twist at the end. Highly recommended. I tried this out - since a friend gave it a 5 star review. I have been listening to audio books all year - and this was a dramatization - from a BBC radio program. I thoroughly enjoyed the added sound effects that helped to create the scene. However, I was getting lost between the different actors/voices and I think I would have preferred to hear the original. 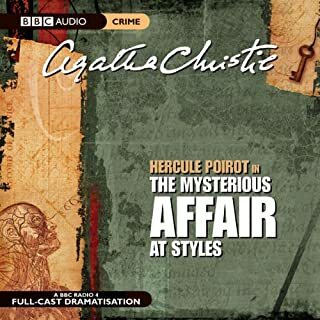 Overall, I liked the story - and I will give Agatha Christie another try. I just think I will look for the actual book version next time, instead of the dramatization. I recommend; great entertainment;wonderful plot I will buy another audiobooks like that because they are really very enjoyable. boring. made no sense most of the time. boring and made no sense most of the time. needed more background. the book is probably better. Loved it! It was a great story. If you like a good mystery you will love this book. Everyone is a suspicious character and everyone is guilty-- but who is their killer? Great performance and atmosphere. A quick and fun read! didn't realize it was so short. This is a dramatisation of Agatha Christie's novel, and it's very effective and enjoyable. The characters are well portrayed by the actors and it's easy to tell all of them apart. The incidental music and background effects (seagulls, the sea) add to the tension and build up the suspense. The audio creates a claustrophobic atmosphere that really complements the story. Like so many of us, I have read the book and watched the film and Television adaptations. I confess to being slightly underwhelmed by them all. This audio version, however, brings the whole story to life, and takes it to a much higher level. The voices are easy to distinguish, the acting is excellent, and the background sound effects are well chosen and add depth to the drama. I gave up trying to find out who did what to who & why. who done it? Excellent Dramatisation by the BBC as usual, great audio, well sorth the audio credit . Brilliant production of Agathas best. Fantastic performance of this great story- perfect for car drives etc and easy to follow. Fast development of plot etc as radio play, but but loses none of the tension and drama. Enjoy Dame Agathas finest work ! 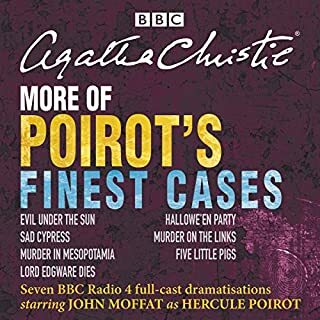 An unusual Christie in that it features none of her usual sleuths. Neverless, the story grips from the outset and never lets up, as each character is picked off one by one.... The dramatisation is a another tour-de-force by the BBC. Wonderfully atmospheric, the story is skilfully abridged and adapted. Highly recommended. this story was well executed with a great cast, not just a single person reading to u.